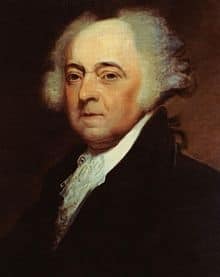 Early in 1776, he was sent to France by Congress in a semi-official capacity, as a secret agent to induce the French government to lend its financial aid to the colonies. 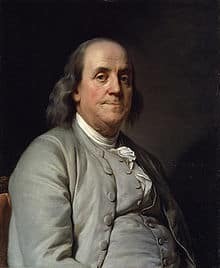 Subsequently he became, with Benjamin Franklin and Arthur Lee, one of the regularly accredited commissioners to France from Congress. 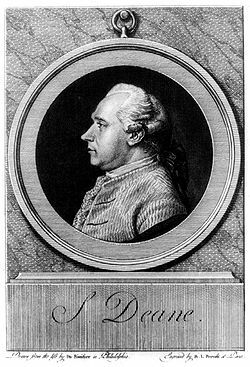 On arriving in Paris, Deane at once opened negotiations with the Comte de Vergennes who was the French Foreign Minister. With the assistance of the playwright and outspoken support of American independence, Beaumarchais, Deane organised shipment of many shiploads of arms and munitions of war to America helping finance the Battle of Saratoga.” He also enlisted the services of a number of Continental soldiers of fortune, among whom were Lafayette, Baron Johann de Kalb, Thomas Conway, Casimir Pulaski, and Baron von Steuben. Many of these officers soon made themselves unpopular once they reached America for a variety of reasons. As Deane had signed the contracts hiring them, he was given the blame by politicians in Philadelphia. His carelessness in keeping account of his receipts and expenditures, and the differences between himself and Arthur Lee regarding the contracts with Beaumarchais, eventually led to his recall and replacement by John Adams as ambassador to France on November 21, 1777 and was expected to face charges based on Lee’s complaints and on his having promised the foreign officers commissions outranking American officers. 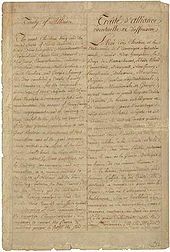 Before returning to America, however, he signed on February 6, 1778 the treaties of amity and commerce and of alliance with France, which he and the other commissioners had successfully negotiated. It was also in Paris that Deane formally approved of Scotsman James Aitken’s (John the Painter) plot to destroy Royal Navy stores in Portsmouth, England on behalf of the Continental cause. As a mark of approval for Deane’s conduct in Paris, the French government agreed that he should travel back to the United States aboard a warship carrying out the first French ambassador to the United States. Louis XVI presented Deane with a portrait framed with diamonds and both Vergennes and Franklin wrote letters commending Deane.